The anamorphic woes continue. Previously, I have written about how the Red Cliff Part I DVD was not "anamorphic" and the image quality was not worthy of a high-definition LCD TV presentation. 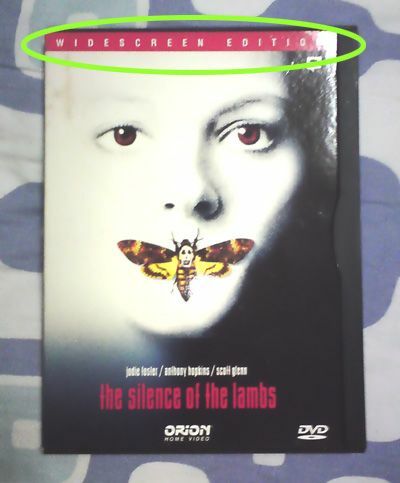 Inspired by a discussion on Facebook, I rummaged my DVD storage for my copy of Silence of the Lambs, the serial killer thriller that popularised the character of Dr. Hannibal Lecter (Anthony Hopkins), hoping to relive the grisly world that the bad doctor resides in. To my horror, the disc also suffers the same problem as the Red Cliff disc, as the video appeared squashed on the original or 16:9 aspect ratio setting. Jodie Foster looking like prime material for Buffalo Bill's makeover. 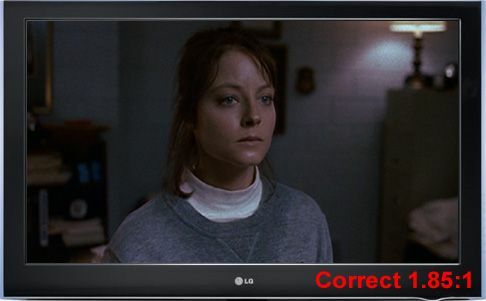 Changing the TV ratio setting to 4:3 corrects Jodie Foster's fat quotient. However, this proves that the video was modified to fit the squarish frame of televisions of yore, and not widescreen televisions. 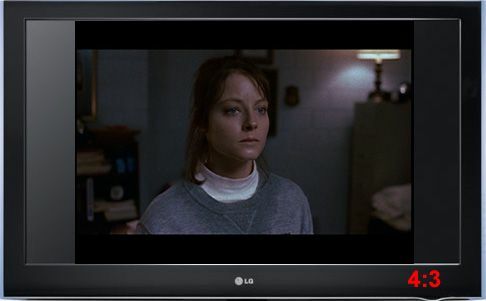 Notice that Jodie looks just right, but because the presentation won't fit a rectangular widescreen TV, hence there are two vertical bars on the left and right. I should have used these graphic examples to highlight the problems on the Red Cliff I DVD. You guys may have been and maybe still are a little confused about my babblings on that post. But it's the same problem there and here. What's frustrating is that the DVD packaging indicates prominently that the disc is made for widescreen presentation. It didn't say that it was anamorphic, though. But that's like saying you could sell me a car without a steering wheel if they didn't mention it having one in the manual. I bought the DVD probably five years or more ago, likely from Choa Chu Kang Laser Flair, Lot One branch. (Don't worry, Laser Flair, I won't charge. Free publicity.) 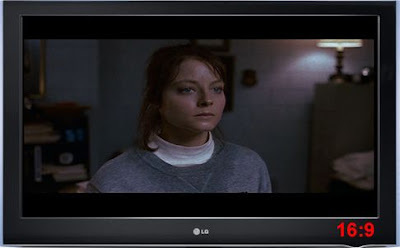 High definition TVs weren't so prevalent during those days, so I guess people didn't take much notice of the ratio and anamorphic issues, including yours truly. 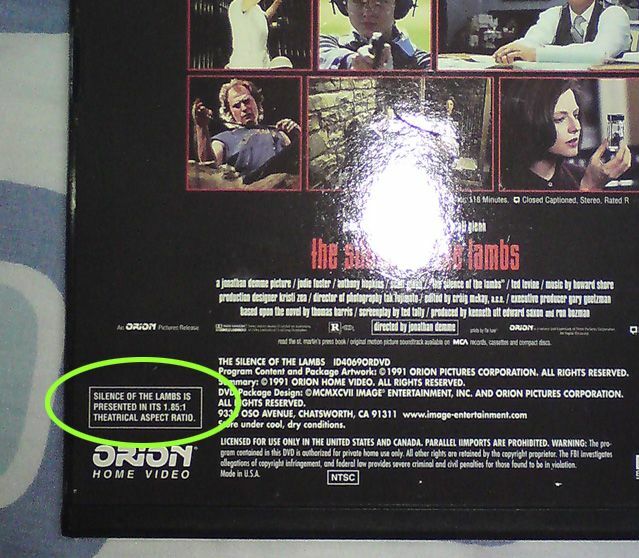 I'm sure I played this very DVD for more than ten times (on my still-alive ten-year-old JVC cathode ray tube television, of course) and still never noticed anything wrong! Can't remember how much I paid for this. No special features. Nice, freaky DVD box design, though. Sssssslurp! If you want to know more about anamorphic DVDs, this site explains it pretty well.